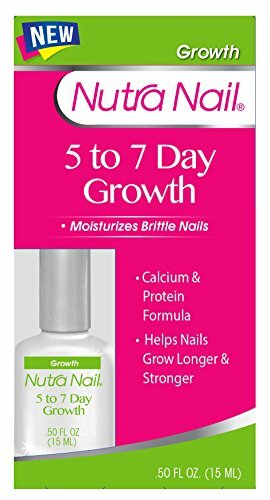 Nutra Nail 5 to 7 Day Growth Calcium Formula, 0.45 Fluid Ounce by Nutra Nail at Utah Health Net. MPN: 1241. Hurry! Limited time offer. Offer valid only while supplies last. For soft, weak nails. Helps soft, weak nails grow stronger! Fast absorbing calcium, protein & vitamin formula. As seen on TV. Customized nail care. Longer nails in a week or less! If you have any questions about this product by Nutra Nail, contact us by completing and submitting the form below. If you are looking for a specif part number, please include it with your message.